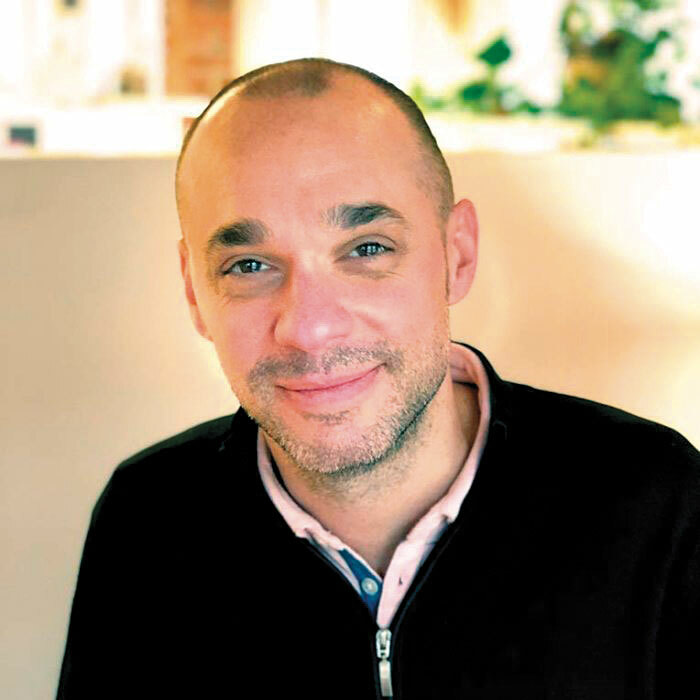 Most of all, it’s vitally important for the designers to connect with winemakers, say the pair. They didn’t always create wine labels, though. 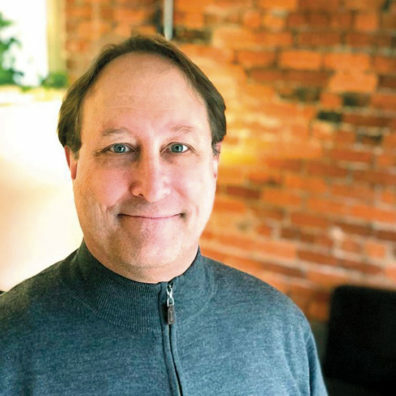 Doubleknot Creative, formed when Carey’s CKA Creative combined with Blankslate Creative, had mostly worked with tech companies such as Microsoft and Amazon. Carey was traveling to Pullman for a WSU football game in 2005 when he decided to visit Walla Walla wineries for the first time. Carey met with winemakers and winery owners, including Annette Bergevin (’86 Comm.). “I told her, ‘If you ever want a new label, let me know,’” he says. 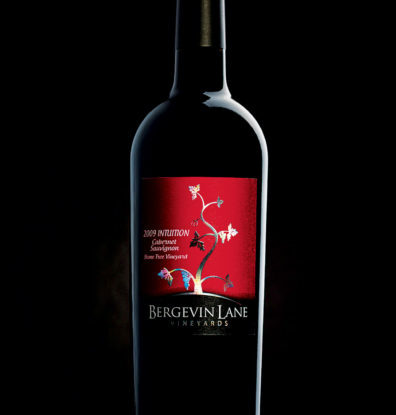 Even though Bergevin Lane is a small winery, he was excited about the possibility and that became the firm’s first label. That experience led to an extensive portfolio of wine packaging, including work with nearly a dozen of Ste. Michelle Wine Estates specialty brands, such as The Burn, Intrinsic, and Tenet. It also makes sense for Carey, whose fraternity brother at WSU was Ted Baseler (’76 Comm. ), WSU regent and CEO of Ste. Michelle. The story changes for each wine. For example, Intrinsic has an urban vibe that blends the gritty work of Brooklyn street artist Zimer with textured embossing and finishes. Airfield Estates’ Aviator wine out of Prosser, on the other hand, gives a nod to history with a vintage image of a pilot. Lasting relationships from years attending WSU further led to opportunities to produce “virtual” labels for Ste. Michelle in Woodinville. 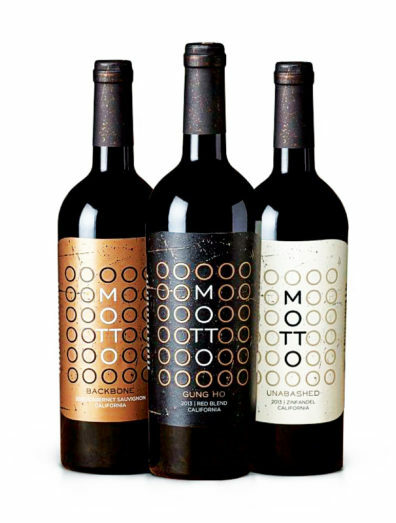 Wine labels have evolved as consumers’ tastes change, as well. Different generations have varying expectations when looking at bottles, says Craig. Millennials in particular want a narrative and labels that speak to them emotionally. “They are buying an extension of their personality. When they take wine to a party, it’s a calling card of who they are,” he says. Wines really need to stand out on store shelves or other settings, another reason for the label’s importance. “If there are 100 bottles, how do you get someone to pick it up and make the sale?” asks Carey. And in a restaurant, there are no pictures when you get a wine list, but a bottle on a table can jump out at you across the room. Carey and Craig say their role as label designers fits with the collective spirit of the Washington wine industry, which they note includes not just the winemakers and companies, but also WSU’s research and education. David Merfeld (’13 Hort. ), the award-winning Northstar winemaker, last year launched his eponymous brand, Merf. Doubleknot Creative worked with him to create the label and branding. “The label is a representation of his identity and personality. It’s about him as a guy, as an individual,” says Craig. For the labeling, the designers drew on Merf’s memory of his first car, a vintage Camaro, so the labels pick up the shape of the hood and the actual yellow and red colors from an old Camaro brochure. 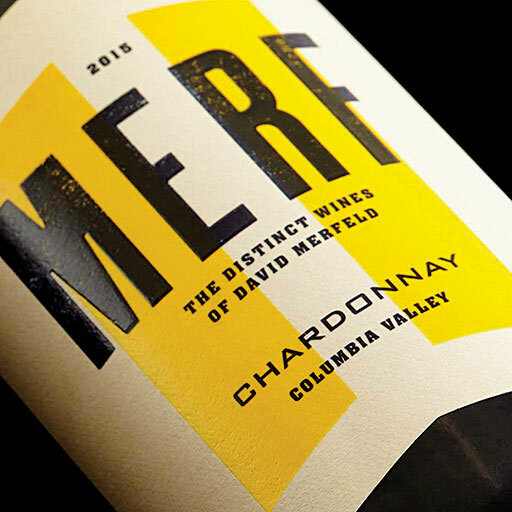 It makes a bold statement about Merf and his wine. “Looking at it, you would never know it came from Ste. Michelle Wine Estates,” says Carey. All photos courtesy Doubleknot Creative except as noted.